A young girl who finds herself in Japari Park with no memory of who she is or where she comes from. 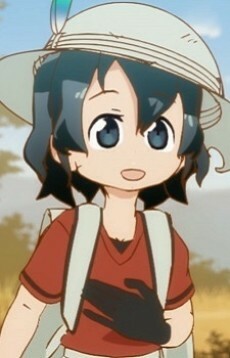 Named by Serval due to the backpack she carries (kaban meaning bag). Shy yet resourceful, she travels through Japari Park along with Serval to find out her identity while encountering more Friends along the way, eventually discovering that she is a human.